The GSMA has released its seventh annual ‘State of the Industry Report on Mobile Money’, offering a current snapshot of the mobile money landscape and highlighting the impact that greater financial inclusion has on lives, economies and innovation. 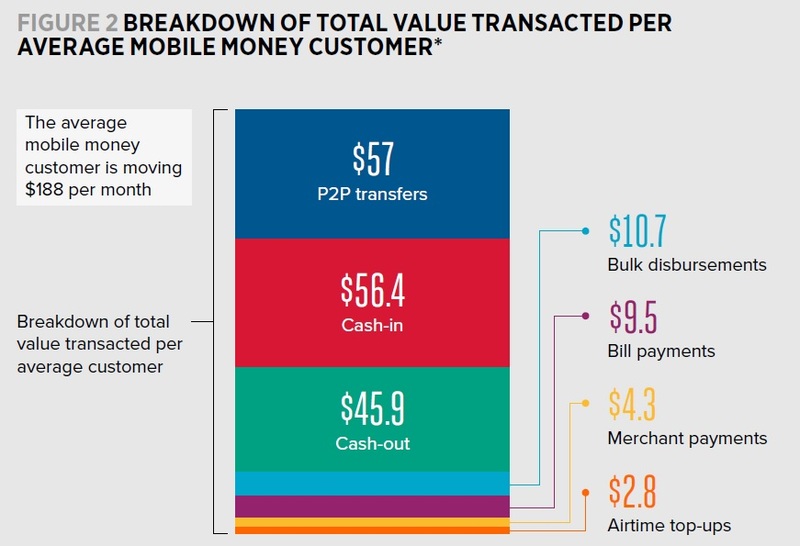 The report provides the only comprehensive picture of mobile money around the globe. Today, with more than 690 million registered accounts in over 90 countries, mobile money has evolved into the leading payment platform for the digital economy in many emerging markets. The report shows that, in 2017, the mobile money industry processed transactions worth a billion dollars a day, generating direct revenues of over $2.4 billion. “As the Sustainable Development Goals (SDGs) enter their third year, mobile technology is proving to be an essential tool for delivering these global goals with increased connectivity and innovative services enabling more inclusive communities,” says Mats Granryd, Director General, GSMA. The report shows a number of new trends in mobile money in 2017, including the accelerated growth of bank-to-wallet interoperability, the growing adoption of smartphones, the proliferation of fintech companies, the digitisation of new sectors of the economy, and renewed efforts by companies and governments to reach the most vulnerable and underserved. Sub-Saharan Africa has long been the epicentre of mobile money and growth in this region shows no sign of slowing, but as the industry has matured, mobile money has also gained traction in other parts of the world. In 2017, for the first time, growth of the industry was led by regions other than Africa. With 47% year-on-year growth, South Asia was the fastest-growing region in terms of registered accounts and now represents 34% of registered accounts globally. 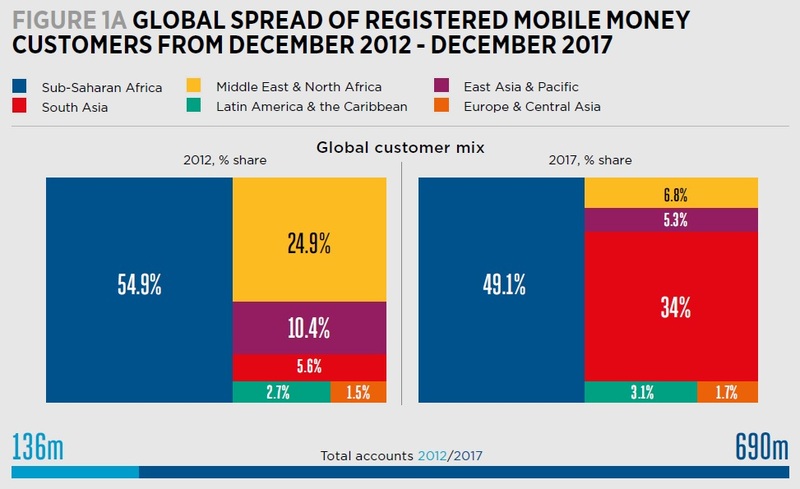 A steady increase in active customers, transactions and direct revenue are signs that mobile money is evolving into a sustainable industry and represents an important driver of economic growth in developing markets, particularly through formalising payments, increasing transparency and boosting GDP. With mobile money now available in over 90 countries, including three-quarters of low- and lower-middle-income countries, it has become the leading payment platform for a digital economy in many emerging markets. Many successful providers are decreasing the net cost of the agent network – the cost of managing an agent network can account for more than half of total revenues, so this trend can significantly affect investment incentives. As a burgeoning fintech community positions itself as the gateway of choice for new digital services, a number of traditional tools will remain relevant. The persistence of the cash economy in emerging markets means that complex distribution networks will continue to be crucial for digital services to interface with physical lives. In a business that relies deeply on trust, the role of longstanding brands and the understanding of local context will also remain integral to reaching people outside of the formal system. The policy and regulatory environment will play a determinant role in establishing incentives and setting national ambitions. As regulators confront questions around data protection, business models, and more, the policy end game of greater inclusion must remain at the fore. Providers able to effectively inform and support this process will be more likely to thrive. “In an increasingly turbulent world, mobile money is also providing a lifeline, with digital humanitarian cash transfers and affordable international remittances giving refugees safe and convenient ways to meet pressing needs. We are also continuing to focus on narrowing the gender gap in access to financial services through programmes such as the Connected Women Commitment initiative,” concludes Granryd.